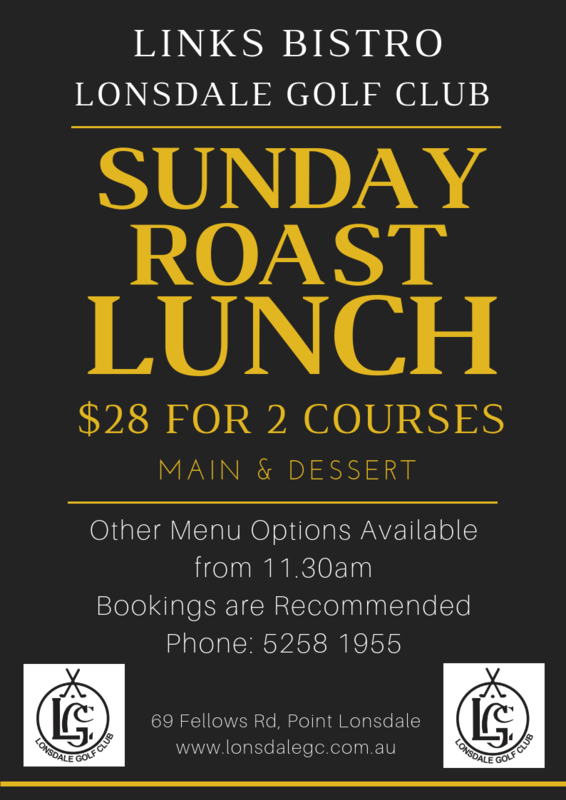 Sunday Roast Lunch is back at Links Bistro, starting this weekend with 2 Courses for $28 (Main & Dessert) from 11.30am. We are excited to share with you all our new menu! Links Bistro is open for Lunch Tuesday to Sunday and Dinner on Thursday, Friday and Saturday Nights. COURTESY VEHICLE SERVICE NOW AVAILABLE AT LGC. Operating from 5.30pm every night our Bistro is open! Bistro Open 7 Days (excludes NYE & NYD). Servicing the Point Lonsdale, Queenscliff and Ocean Grove areas.